Foie gras is the liver of a duck that has been fed extra portions of very fine grain corn in the last ten days of finishing using a traditional French method called gavage. Highly prized for its rich buttery flavor and smooth, creamy texture, foie gras is a classic ingredient in French cooking. It can be sliced and seared, blended into sauces, as a topping on steaks or burgers, or used to make mousses and terrines. Foie gras pairs particularly well with fruits including apples, pears, plums, cherries, grapes as well as cognac and brandy. Rich and buttery on its own, it also pairs well with other sumptuous ingredients such as truffles, chocolate, Sauternes and port wines. Foie gras dates back to the Romans. The gavage feeding and finishing method makes use of the ducks' natural ability to eat excessively in order to store extra energy in preparation for their annual winter migration. 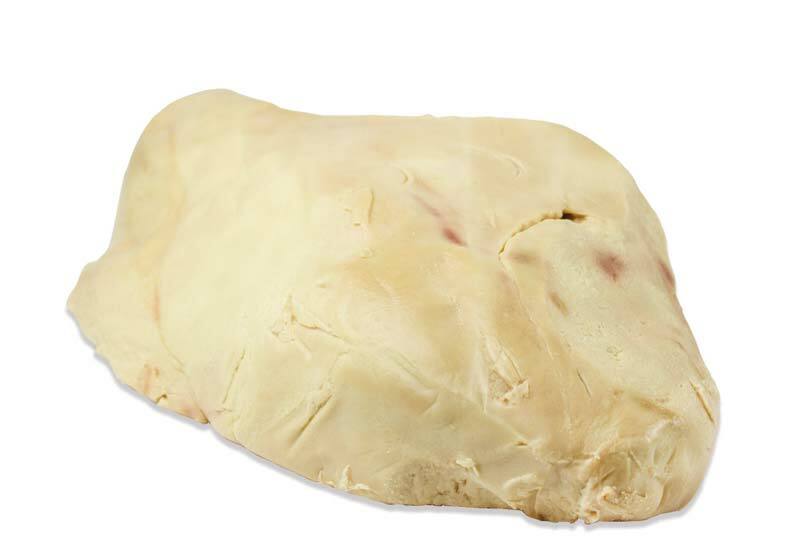 After production, foie gras livers are graded A through C according to their texture, size, color and visible veins. Grade A is the highest, indicating the liver is uniform, more firm and large in size. This is the size best suited for slicing and pan searing. Grade A foie gras will render the least amount of fat. 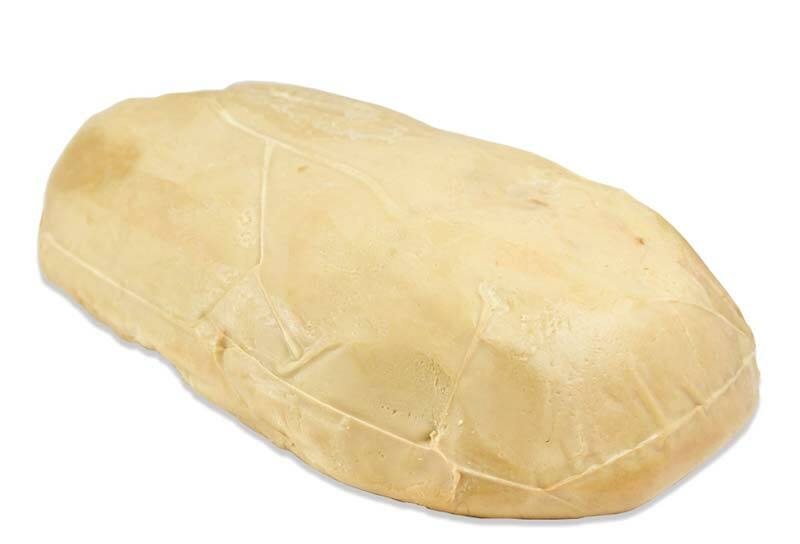 B Grade Foie Gras is slightly smaller and softer than A grade and can show light bruising. It can be seared, but will render more fat. 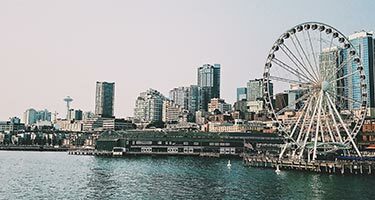 It's a good choice for dishes where the foie gras won't be immediately apparent, or the plating of the foie gras isn't essential (such as tossed with pasta or stuffed into burger patties). 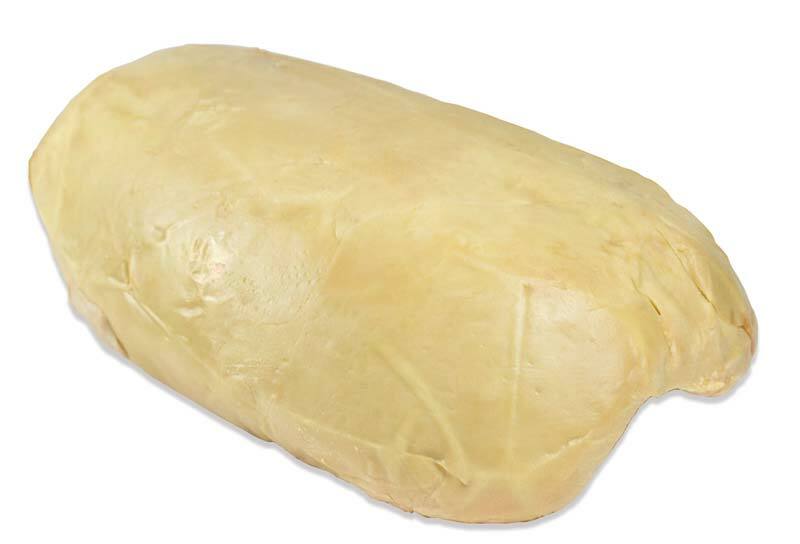 C Grade Foie Gras is very soft and melts easily, so it isn’t suitable for searing. It is best used in house-made mousses, terrines, pates and other charcuterie, in sauces and torchon.